Keep doing the things you love, or take up something new. You still have interests, things you want to learn, achieve and do. But where do you start? That’s where ACH Group comes in – we offer a range of opportunities that can support you to maintain your interests or take up new ones; make new friends or reconnect with friends you haven’t seen for a while. We can also support you to get out and about, stay connected to your local community and meet like-minded people. 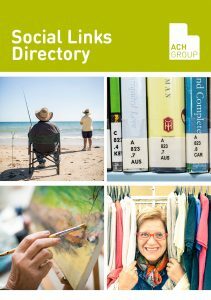 At ACH Group, all of our services are inclusive of people living with cognitive impairments, including dementia. To view our current Social & Respite Price list, please click here. ACH Group Ambassador Jane Reilly meets some members of the Sing for Joy choir.